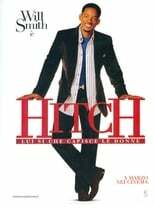 Alex "Hitch" Hitchens: What you got there? Albert: This? I figured maybe if my heart stops beating, it wouldn't hurt so much. Basic Principles - no woman wakes up saying "God, I hope I don't get swept off my feet today!" Now, she might say "This is a really bad time for me," or something like "I just need some space," or my personal favorite "I'm really into my career right now." You believe that? Neither does she. You know why? 'Cause she's lying to you, that's why. You understand me? Lying! It's not a bad time for her. She doesn't need any space. And she may be into her career, but what she's really saying is "Uh, get away from me now," or possibly "Try harder, stupid," but which one is it? 60% of all human communication is nonverbal body language; 30% is your tone, so that means 90% of what you're saying ain't coming out of your mouth. Of course she's going to lie to you! She's a nice person! She doesn't want to hurt your feelings! What else she going to say? She doesn't even know you... yet. Luckily, the fact is that just like the rest of us, even a beautiful woman doesn't know what she wants until she sees it, and that's where I come in. My job is to open her eyes. Basic Principles - no matter what, no matter when, no matter who... any man has a chance to sweep any woman off her feet; he just needs the right broom. [to Albert after his dancing exhibition] Don't need no pizza. They got food there. Give me a ring... sometime. [Laughs] I mean, on the phone. You know what it's like getting up every morning feeling hopeless? Feeling like the love of your life is waking up with the wrong man? But, at the same time hoping that she still finds happiness, even if it's never going to be with you?